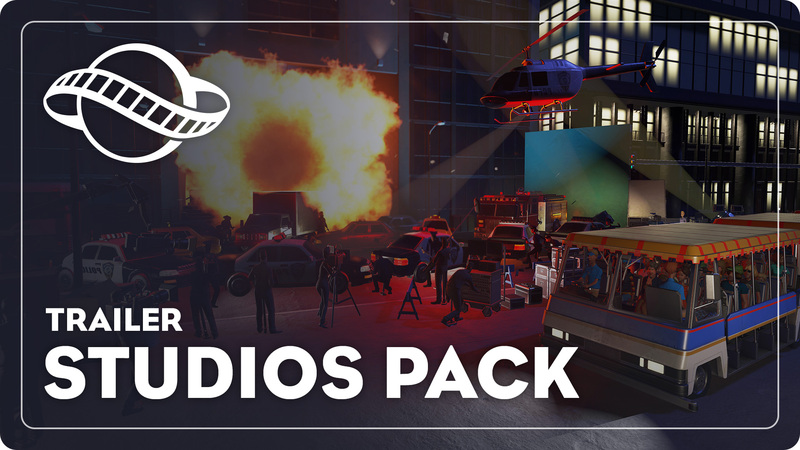 Build Hollywood sets and backlot tours with new studio-themed scenery and wall sets. 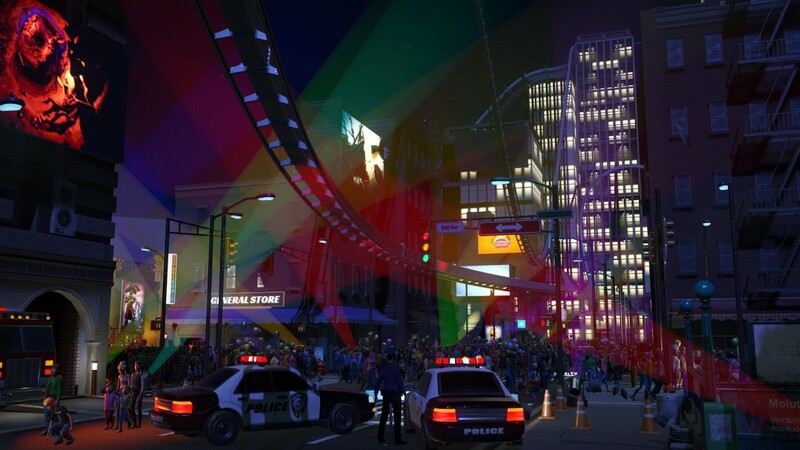 Combine new city props, vehicles, construction props and metropolis wall tiles together with Planet Coaster’s existing themes to bring the silver screen to life. 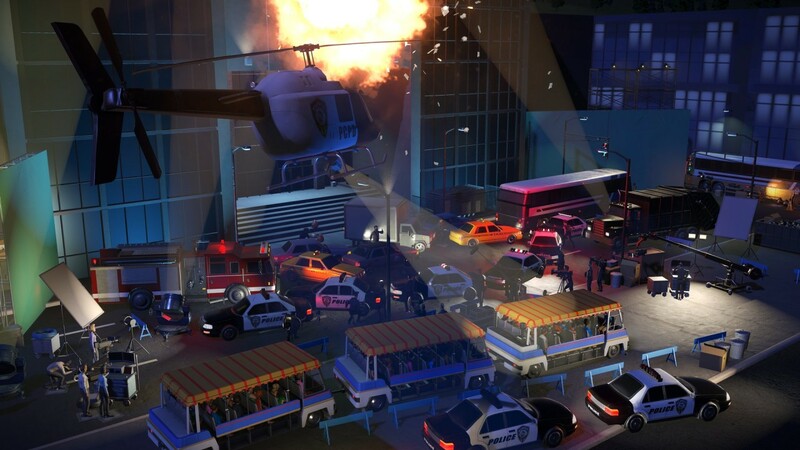 Build your own all-action blockbuster park by extending the pirate adventure, sci-fi spectacle or award-winning western themes and take park guests behind the scenes on a backlot tour where stunt people dive from rooftops, special effects dazzle and scenery explodes! 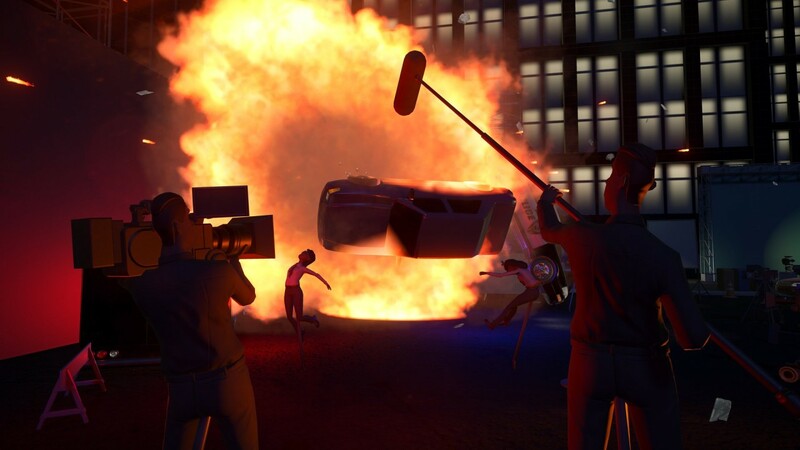 Create the ultimate studio set with green screens, animated lights, film equipment, vehicle stunts, blowing newspapers, billowing dust, shattering glass and more. 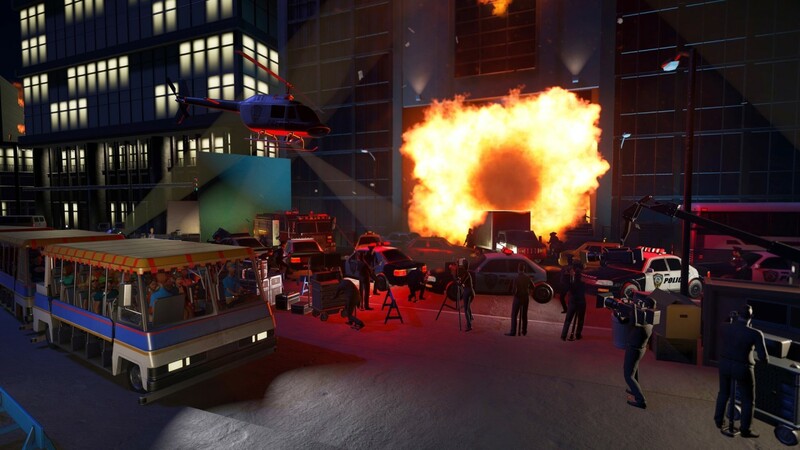 Big Screen Tour, the Hollywood backlot tour experience comes to Planet Coaster with a powered track ride bringing park guests face-to-face with your cinematic spectacles. This electrically powered tour buses can double up as a transport or tracked ride, the bus length can be changed from single car buses to multi-car buses. 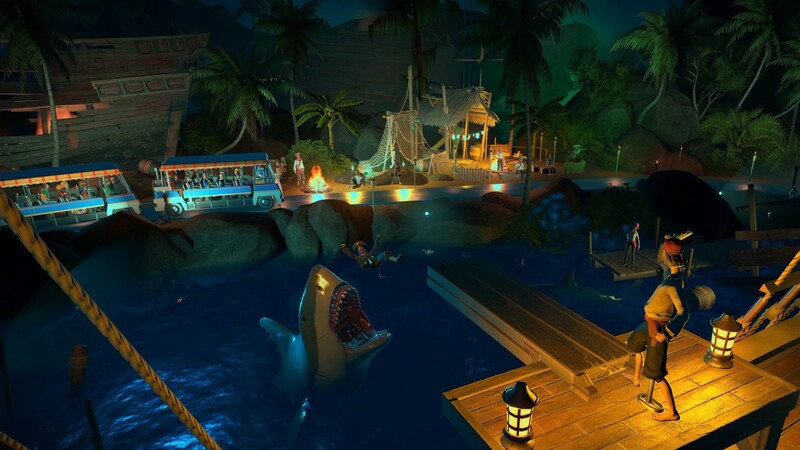 Re-Motion, is a modern simulator-style tracked ride. The ride has an adjustable robotic arm holding the seats which allow the seats to be moved freely in all directions. Use video screens to create an immersive ride experience. Horror Heights; scream in terror in this classic multi-drop tower that has been designed to work inside Planet Coaster’s buildings. A chilling and thrilling accelerated drop tower dark ride for fearless guests. New music, studio ambience and triggered sound effects make your movie sets come alive like a real Hollywood production.